The Paco Project reaches $25,000 goal! Click on the Timeline Tab for the latest updates. The Paco Project focuses on a family’s multi-generational struggle with dyslexia. It tells of the journey from shame to empowerment thanks to Learning Ally. 100% of the money raised through The Paco Project will be used by Learning Ally to benefit students and schools in New York City. Please consider making a donation. Click on the Donate tab above. RESEARCH SHOWS THAT 1 IN 5 PEOPLE IS DYSLEXIC. The Paco Project from Paco Project on Vimeo. We apologize for the video not playing. In order to view it, please click on The Paco Project hyperlink above. 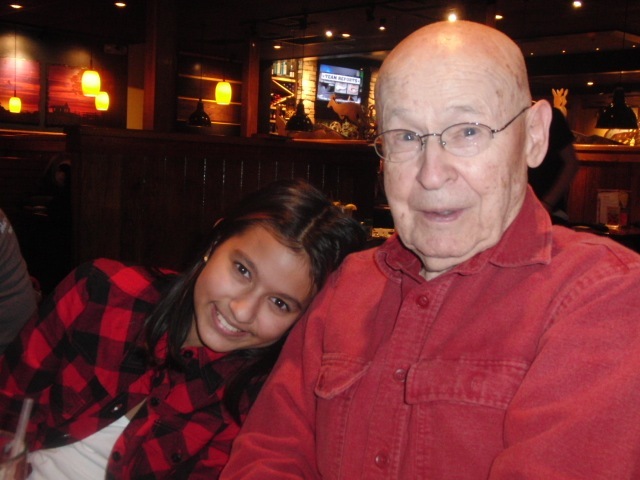 Hello, I am Skye Malik and this is my grandfather, Leo Corey, whom I call Paco. He is my hero, and I am proud to name this Project after him. Learning Ally literally changed my life, and I want other dyslexic students in NYC to feel empowered just as I did.